As hard working Kiwi’s, we know that even the strictest budget cannot always prepare you for life’s unexpected costs. During cash shortfalls, Cashburst is here to help by providing fast cash loans to those in Tauranga. ‘On The Go’ from $100 – $1,000. ‘Jump Start’ from $1,000 – $3,000. ‘Active’ from $3,000 – $5,000. ‘Loan Plus’ from $5,000 – $10,000*. To make this happen, simply go to our website to complete our quick online application form. Send your required documents via email or fax and we will get back to you usually within the hour. Dealing with Cashburst is a hassle-free process with no long waits or complex paperwork. Why choose Cashburst for a quick cash loan? When dealing with money, you need someone you can trust. Cashburst is one of Tauranga’s most reputable and trusted lenders. We firmly believe in responsible lending, that’s why we ensure the affordability of each loan and work out manageable repayments to suit your needs. Our flexible repayments mean if you wish to repay your loan early you will not be charged any early repayment fees. You can also trust us to keep your information safe and secure. We understand that your finances are personal. Your loan will be kept strictly confidential and we do not contact your employer apart from one anonymous phone call during the application phase. Looking for a bad credit cash loan in Tauranga? Cashburst could make it happen. If you’re struggling to find a cash loan due to your bad credit history, we may be able to help when no one else can. At Cashburst we do not base our decision on your past credit history alone, we take in to account your current ability to repay the loan. At Cashburst we’ve made getting a cash loan in Tauranga easy. If you meet our simple eligibility criteria we could provide you with a quick cash loan. With our completely digital loan process, location isn’t an issue we could provide you with a quick cash loan. Whether you’re living in; Bellevue, Bethlehem, Brookfield, Gate Pa, Greerton, Hairini, Judea, Kairua, Matapihi, Matua, Maungatapu, Motuopuhi Island (Rat Island), Motuotau Island, Moturiki Island, Mount Maunganui, Ohauiti, Omanawa, Oropi, Otumoetai, Papamoa, Papamoa Beach, Parkvale, Poike, Pyes Pa, Tauranga Central, Tauranga South, Tauriko, Te Puna, Waikareao Estuary, Waitao, Welcome Bay or any other Tauranga suburb. 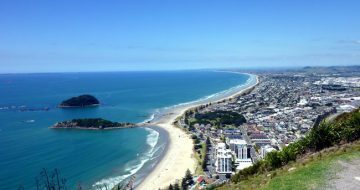 We provide personal loans in Tauranga and throughout New Zealand.